It’s February, time for the first good movies of 2016 to come out. Enter HAIL CAESAR!, a Coen Brothers comedy about old Hollywood, starring Josh Brolin and George Clooney, and featuring Scarlett Johansson, Ralph Fiennes, Channing Tatum, and lots of Coen regulars. From Fail to Fantastic, where does it fall in their filmography? It would be tough to measure up to the best of the Coen Brothers, Oscar winners for FARGO, NO COUNTRY FOR OLD MEN, and TRUE GRIT, and creators of the comedic classics THE BIG LEBOWSKI and O BROTHER, WHERE ART THOU? 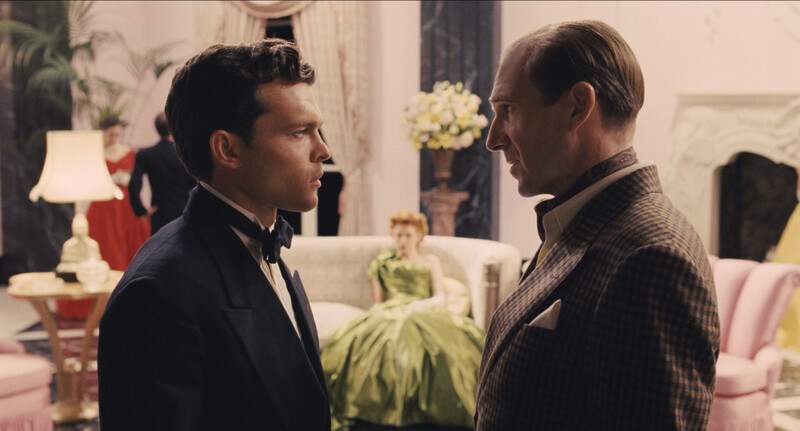 Even so, their wacky, flamboyant new release HAIL CAESAR! is deliriously funny and wonderfully watchable. Equal parts an indictment and love letter to old Hollywood, it stars a laundry list of A-list stars recognizably standing in for the ingenues, leading men, and directors who once graced the covers of Photoplay and Silver Screen. 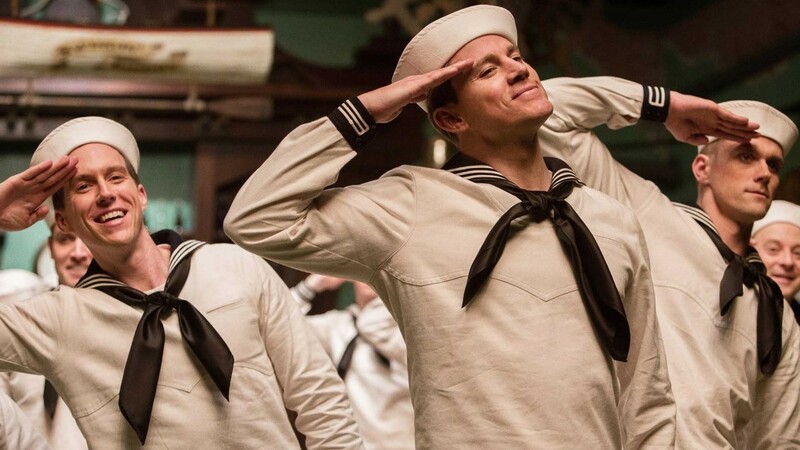 Hail Caesar is tremendously uneven, almost by design, and funniest to those in-the-know about post-war Hollywood. Those who recognize the many in-jokes and references in this absurdist version of Golden Age movie mythology will embrace it wholeheartedly. There’s an interplay between cynicism about the vapid glitz the post-war studio system fed the public, and directors Joel and Ethan Coen’s loving recreation and wholesale buy-in of that old-world glamor and hokum. It couldn’t be more delicious, so if real substance to this flick isn’t easy for everyone to see, should we care? Josh Brolin is Eddie Mannix, a studio exec trying to run Capital Pictures. He has his hands full keeping movies on schedule and on budget, and fixing every kind of near movie emergency. Their biggest star Baird Whitlock (George Clooney) gets kidnapped. A boss makes him cast cowboy actor Hobie Doyle (Alden Ehrenreich, in a scene-stealing, star-making turn) in a drawing room drama. 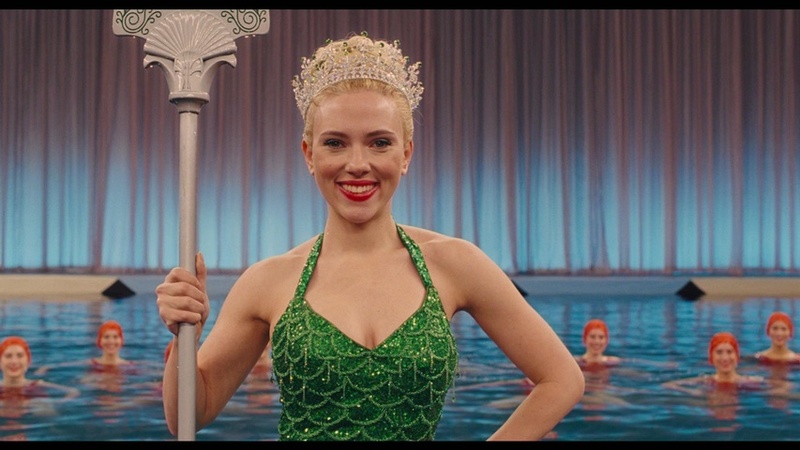 Trash-talking queen of mermaid movies DeeAnna Moran (Scarlett Johansson) is in trouble again. Meanwhile the sound stages and production rooms keep the machinery of movies moving. Was George Clooney a stand-in for Robert Taylor or Charlton Heston? For sure, Loretta Young, Gary Cooper, Esther Williams, Gene Kelly, Carmen Miranda, were all sent up. As for Frances McDormand’s C.C.Calhoun, was she inspired by Cecil B DeMille’s Anne Bauchens or John Ford’s Dorothy Spencer? Not everything works here, especially parts of the ending. And certainly some less vintage movie-loving viewers might get lost and a bit bored. Never mind. The scenes that are funny are so much so, they’ll offer reason enough to see it for some, and for others will beg multiple viewing, like Tatum’s musical number “No Dames”, which could and will be set to infinitely repeat on many a blu-ray player. I loved it and some classic movie lovers among you will too. As with all Coen brother movies, much more lies under the silly surface if you’re willing to look. Also as will their movies, it’s not for everyone, but for some of you, it will be one of your new favorite films. Deadpool Review: A Deranged, Dirty Valentine or Dead in the Water?